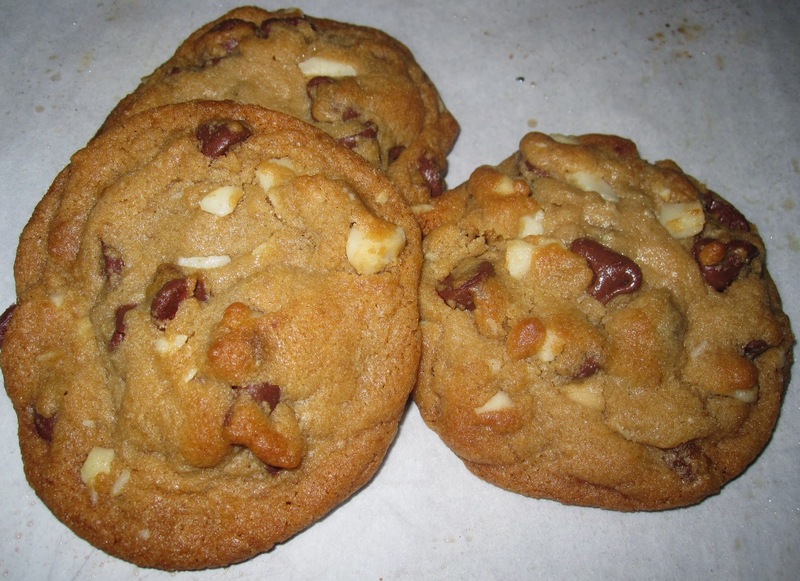 This recipe has been a family favorite cookie recipe since back in the 50's. It's so easy to change these up, by just changing the type of nuts. They are always a big hit. In a small bowl mix the flour, baking powder, baking soda & salt and set it aside. I use a fork to blend the dry ingredients. Cream the sugars and the butter until well mixed. Add the eggs one at a time, then the vanilla and mix well. Gradually add the dry ingredients and mix well. Fold in, by hand, the oatmeal, chocolate chips and nuts until well blended. Drop rounded tablespoons full of cookie dough on a cookie sheet. If you have a melon ball scoop, this will work very well. Bake the cookies 15 minutes for chewy cookies and 17-18 minutes for crispy cookies. Between batches, I store the dough in the refrigerator. I think the cold dough cooks better than when kept at room temperature. You can also roll the dough into balls to store them in the freezer until you are ready to bake. When you are ready to bake, you will need to add an extra minute or two to compensate for the frozen dough. Variation: If you want some yummy Chocolate Chip Coconut Oatmeal Cookies, reduce the white sugar to a ½ cup, and add 1 cup of shredded coconut in place of the nuts.